York, 5 July 2012. 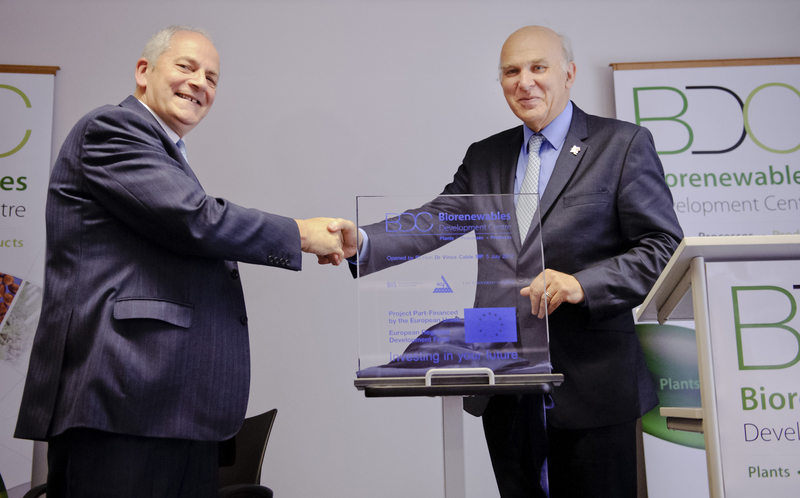 The Business Secretary Vince Cable today opened the Biorenewables Development Centre (BDC) at the University of York. The open-access facilities bridge the gap between the laboratory and industry, providing companies and academia with a way to test, develop and scale up biorefining processes. The unique feature of the BDC is that it can also use molecular breeding to rapidly improve plants and microbes as raw materials for these processes. This creates the potential to source high value chemicals from plants by developing novel crops or improving those already in use. Expansion of the Centre has been supported with £2.5 million from the Department for Business, Innovation and Skills (BIS).